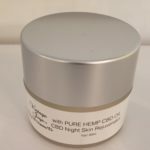 CBD to soothe minor muscle aches & joint pains. Our CBD Freeze is a colorless Gel containing soothing menthol. Great for arthritis, back pain, sore muscles,and joints. Long lasting for all day relief! Offer non-addictive, targeted relief at the point of pain. How to Use: Apply to affected area no more than 4 times daily. Massage if desired. 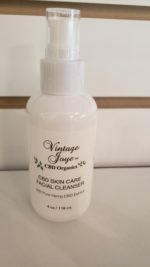 Vintage Joye™ CBD Organics has researched into several companies for the purist, cleanest and most potent CBD on the market. We have chosen after years of searching a USA Laboratory, to produce our Organic CBD Line. They are the largest, fully and vertically integrated producer of phytocannabinoid-rich (PCR) hemp oil in the world. 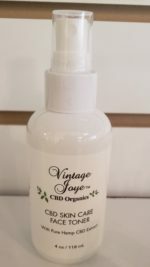 Vintage Joye™ CBD Organics products formulas are solely produced by a USA Laboratory based out of Colorado, the only Laboratory in the Country with a Patent Process to eliminate all traces of THC to 0% percent. They are also the only company in the world with a zero THC full-spectrum oil. 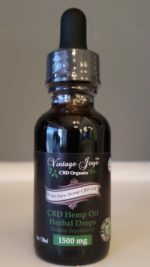 Vintage Joye™ CBD Organics formulas were perfected to achieve this through their proprietary extraction process that incorporates a gas chromatography method, allowing them to identify the naturally occurring THC and separate it out completely, instantly, while leaving intact the other synergistic components of the oil.